SEOUL, March 27 (Yonhap) – South Korea's finance minister said Wednesday that SK hynix Inc.'s semiconductor cluster could create some 17,000 new jobs as he vowed to ensure construction will start by 2021. Hong Nam-ki outlined the government's resolve to support the massive project at a meeting aimed at revitalizing the economy. 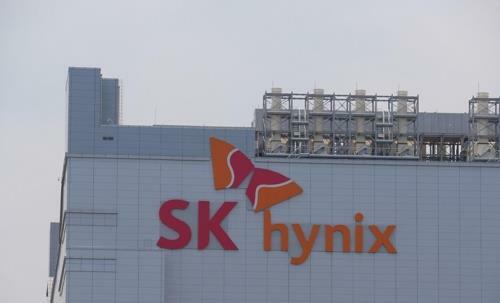 SK hynix, the world's second-largest memory chip maker, has expressed interest in building a semiconductor cluster in Yongin, about 50 kilometers south of Seoul. The company said it picked Yongin for the cluster as many parts makers are located nearby, which would create synergy between various partners. The size of the investment is estimated at 120 trillion won (US$106 billion). South Korea's chip industry accounted for 20 percent of South Korea's combined exports in 2018. When the project is completed, Yongin will serve as a base for DRAM and next-generation memory chips, while Icheon, 80 kilometers south of Seoul, will serve as an R&D and DRAM hub and Cheongju, 137 kilometers from the capital, will be a NAND flash chip center, according to SK hynix.